A wedding is an opportunity to narrate your own fairy tale. You get to star as the princess, and Liz Foubert—designer of Calèche Gowns—plays your faithful fairy godmother to fulfil your wildest dress dreams. It makes perfect sense that their new glamorous collection takes the title of ‘Wild Hearts’, helping women reach their happy ending while staying true to their hearts. Over the years we have seen and heard of many beaming brides commend Calèche on their personal service, tailoring skills and all round beautiful gowns. Boasting countless five-star reviews, each dress is custom-made to suit the bride’s style and taste, no matter how picky you are. Just as the ‘La Boheme’ collection before it, the Wild Hearts collection perfectly encapsulates the magic of a wedding, with gowns fit for royalty. Liz has carefully curated each dress to not only showcase a unique style, but to look spectacular from every angle. The back is just as important as the front; detailed right down to the seam. 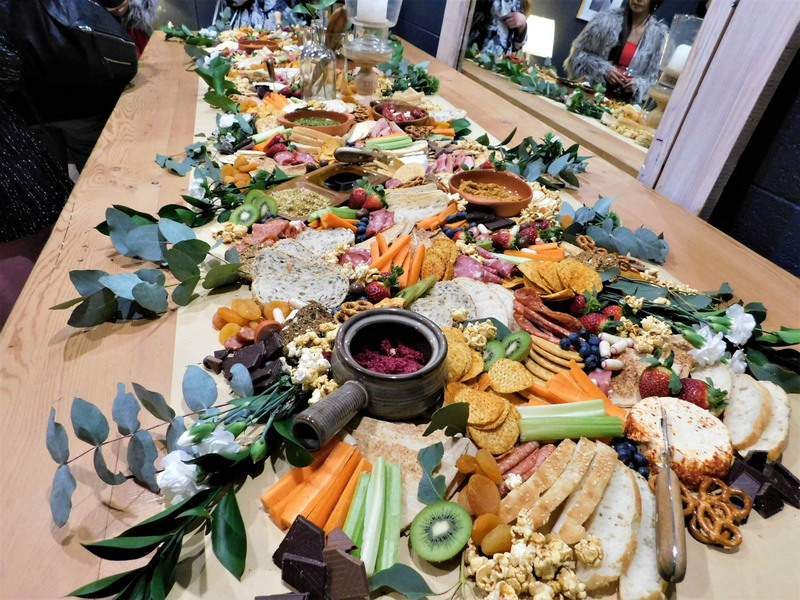 Between sipping on a glass of Pure Vision Organic Wine’s premium quality Rosè, guests snacked on the colourful display of delicacies by Soul and Savoury. Then came the awe-inspiring catwalk featuring the new collection. The modelling team from Finesse Models practically glided across the room as they displayed each piece. Soft curls, natural wedding glam and poise were the only elements needed to bring the ensembles to life. While they were all show stopping pieces, let’s talk about the details. What truly stood out were the flattering cuts: a mixture of plunging necklines, shoulder-less bodices, fishtail body-cons, favourable long-sleeves and everything in between. 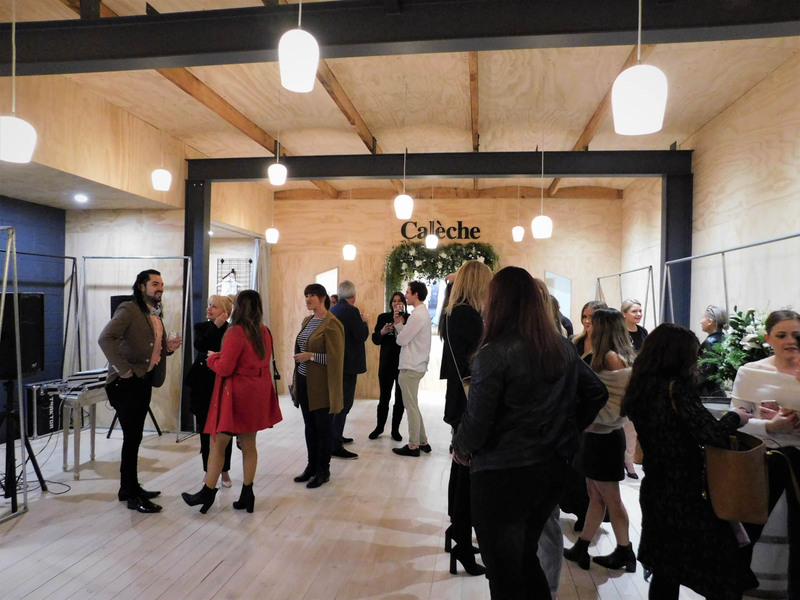 The diverse range caters to every kind of style, maintaining the voguish charm that Calèche is best known for. Fabrics, textiles and prints were also an endearing topic of conversation. For the girls who love glamour, trains covered in sequins sparkled across the floor. Some pieces featured delicate lace, subtly exposing the skin underneath for a combination of sultry and elegance. The collection also consists of intricate floral detailing and full bodies of silk for those who prefer the minimal Megan Markle style. For the particularly wild hearted, the range also features ruffles to create the flouncy Victorian style hem for something a little fun. Be sure to book a viewing appointment for your upcoming special event to take a sneak peek at the new Wild Hearts collection. Bookings can be made via their website for convenience.